What a FIRST round of the NCAA tournament, after only a COUPLE of upsets on Thursday, we saw the BIGGEST upset in the Tournament’s LONG history LATE Friday night. ONE seeds were 135-0 all time in the tournament going into the LAST 1 vs 16 match up of this year and ONE seeds are now 135-1. University of Maryland Baltimore County DESTROYED Virginia to cause the BIGGEST upset most fans have ever seen. NOBODY expected this to happen this year and Virginia was a TWENTY point FAVORITE going into the game, but as FATE would have it, they lost the game by TWENTY points. The tournament has been called MARCH MADNESS for almost EIGHTY years, but this year was the FIRST time that we saw something that most people, including me, thought would NEVER happen. 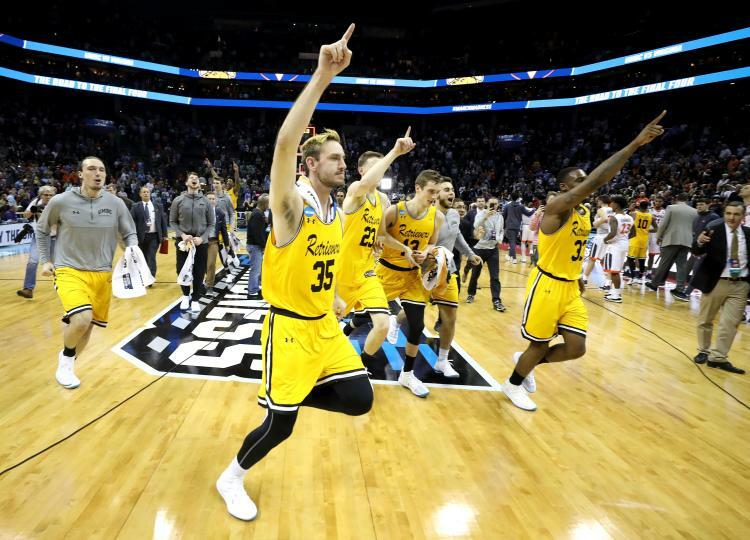 Outside of the BIG UMBC win, we also saw MORE upsets on Friday as THIRTEEN seed Marshall defeated Wichita State, which was the BIGGEST upset of this year’s tournament going into the Friday night. I picked THREE upsets for yesterday’s game and somehow I went 2-1 in those games which is very SHOCKING. I only have ONE upset today, so I really need it to happen to maintain the SMALL credibility that I have. That is the ONLY upset I have today, ENJOY the games today and I will MORE pick tomorrow!